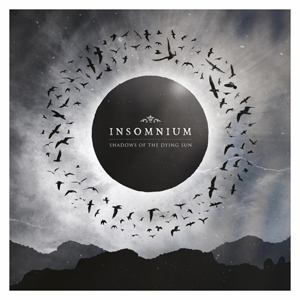 Finnish melodic death metallers INSOMNIUM have returned with their sixth full-length album, entitled Shadows Of The Dying Sun. Featuring artwork once again by Wille Naukkarinen, Shadows Of The Dying Sun will be released on April 28th in Europe and on April 29th in North America via Century Media Records. All of the drums were recorded at studio SF Sound (with Kimmo Perkkiö) while the rest of the instruments were recorded at studio Korkeakoski with producer Teemu Aalto. André Alvinzi (Fascination Street Studios) mixed the album and Svante Forsbäck (Chartmakers) handled mastering. The first trailer for Shadows Of The Dying Sun can be viewed below. Stay tuned for more INSOMNIUM news coming soon! "Shadows Of The Dying Sun"